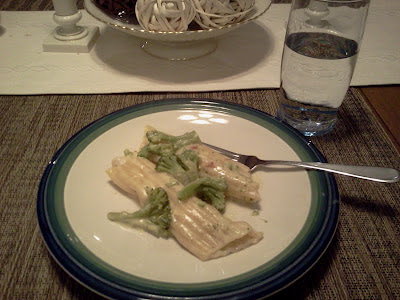 Prior to this dish, the only manicotti I had ever had was stuffed with ricotta cheese. This recipe opened my eyes to a whole new world of possibilities. Aside from how delicious it is, what I love about it is that you don't have to cook the pasta or the chicken before assembly, which makes the prep SO much easier than traditional recipes. I have been making it for years, and we all love it. Preheat oven to 400 degrees Fahrenheit. Mix soup, water, and Velveeta in microwavable bowl. Microwave on high 3 minutes or until Velveeta is melted and mixture is well blended, stirring after 2 minutes. Pour 1/3 of the soup mixture into the bottom of a 13x9 inch baking dish; set aside. Add broccoli to remaining soup mixture. 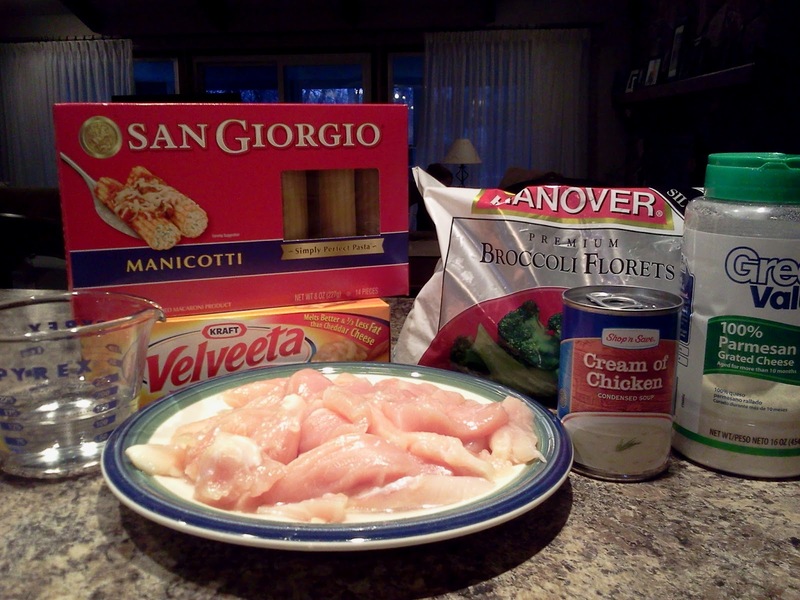 Stuff pasta (uncooked) with chicken strips; place in baking dish. Cover completely with remaining soup/broccoli mixture. Sprinkle with Parmesan cheese. Cover with foil. 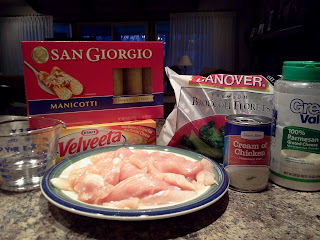 Bake 45-50 minutes or until pasta is tender and chicken is cooked through.